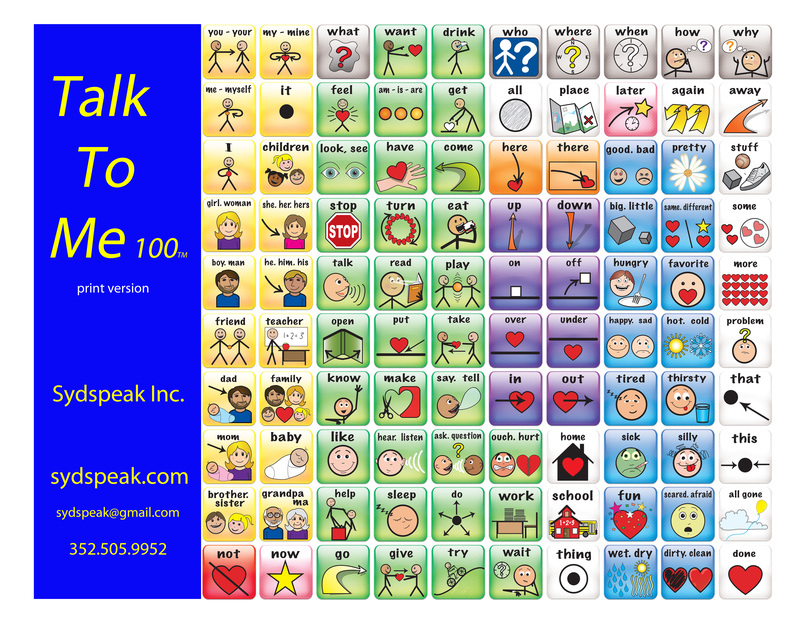 My daughter’s grandmother gave me and my baby a Talk To Me 100 ®. It was light and simple. The first day we had it we mainly pushed and listened to her babble. Suddenly she said “Go”. That is an amazing word coming from a nine month old. Still, I was skeptical. I know my Mom said that an expert speech pathologist invented it. Then I just played with her with it every once in a while. I became amazed. Today at one year four months our daughter loves her talk to me. She now is able to press and pick very fast the words she wants. She says words and pushes words. It is great fun. I very much enjoy having a beautiful baby that talks to me and everyone. When I took anthropology courses it did seem that it does take a tribe. Kids used to be surrounded by lots of adults talking to them and watching them as entertainment. Modern life doesn’t offer that. This helps make up for that by giving a baby a help interacting with you and her world. This is astounding. It turns out grandmother was right.